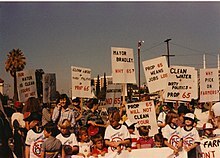 Proposition 65 (formally titled The Safe Drinking Water and Toxic Enforcement Act of 1986) is a California law passed by direct voter initiative in 1986 by a 63%–37% vote. Its goals are to protect drinking water sources from toxic substances that cause cancer and birth defects and to reduce or eliminate exposures to those chemicals generally, for example in consumer products, by requiring warnings in advance of those exposures. Proposition 65 is administered by Cal/EPA's California Office of Environmental Health Hazard Assessment (OEHHA). Proposition 65 regulates substances officially listed by California as causing cancer or birth defects or other reproductive harm, in two ways. The first statutory requirement of Proposition 65 prohibits businesses from knowingly discharging listed substances into drinking water sources, or onto land where the substances can pass into drinking water sources. The second prohibits businesses from knowingly exposing individuals to listed substances without providing a clear and reasonable warning. The requirements apply to amounts above what would present a 1-in-100,000 risk of cancer assuming lifetime exposure (for carcinogens), or above one-one-thousandth (1/1000) of the no observable effect level (for reproductive toxins). An official list of substances covered by Proposition 65 is maintained and made publicly available. Chemicals are added to or removed from the official list based on California's analysis of current scientific information. All substances listed show their known risk factors, a unique CAS chemical classification number, the date they were listed, and, if so, whether they have been delisted. Proposition 65 has been highly successful in reducing exposures to known toxic chemicals, especially in consumer products, and its successes illustrate gaps in the effectiveness of federal toxics laws (see Accomplishments below). It remains politically controversial even after more than 30 years (see Controversy and Claimed Abuse below), in large part because business objects to Proposition 65's burden of proof, which in effect requires businesses to know the scientific safety level for specific cancer- and birth defect-causing chemicals that those businesses are intentionally exposing members of the public to, unless government has already set those levels. According to the California Environmental Protection Agency, "Proposition 65 has... increased public awareness about the adverse effects of exposures to listed chemicals.... [and] provided an incentive for manufacturers to remove listed chemicals from their products.... Although Proposition 65 has benefited Californians, it has come at a cost for companies doing business in the state." (a) To protect themselves and the water they drink against chemicals that cause cancer, birth defects, or other reproductive harm. (b) To be informed about exposures to chemicals that cause cancer, birth defects, or other reproductive harm. (c) To secure strict enforcement of the laws controlling hazardous chemicals and deter actions that threaten public health and safety. (d) To shift the cost of hazardous waste cleanups more onto offenders and less onto law-abiding citizens. The people hereby enact the provisions of this initiative in furtherance of their rights. The Legislature's 2003 amendments to Proposition 65 contained the statement that the changes "further the purposes of the Safe Drinking Water and Toxic Enforcement Act of 1986." Enforcement is carried out through civil lawsuits against Proposition 65 violators. These lawsuits may be brought by the California Attorney General, any district attorney, or certain city attorneys (those in cities with a population exceeding 750,000). Lawsuits may also be brought by private parties "acting in the public interest," but only after providing notice of the alleged violation to the Attorney General, the appropriate district attorney and city attorney, and the business accused of the violation. A Proposition 65 Notice of Violation must provide adequate information to allow the recipient to assess the nature of the alleged violation. A notice must comply with the information and procedural requirements specified in regulations. A private party may not pursue an enforcement action directly under Proposition 65 if one of the government officials noted above initiates an action within sixty days of the notice. After 2003, private enforcers must also serve a certificate of merit (statement of expert consultation(s) supporting belief of reasonable and meritorious private action) as a means of preventing frivolous enforcement actions. A business found to be in violation of Proposition 65 is subject to civil penalties of up to $2,500 per day for each violation. In addition, the business may be ordered by a court of law to stop committing the violation. Other penalties may apply, including unfair business practices violations as limited under California Proposition 64 (2004). Businesses can become compliant by learning upfront whether or not their products contain chemicals that match the current Proposition 65 list of 910 chemicals. Users can do this by searching in a Microsoft Excel chemical list or a website offering the search by chemical name or CAS Number. Product manufacturers may also learn if a chemical in their products has been removed from the Proposition 65 list, such as saccharin, removed December 2010. Alternatively, they can post generic Prop 65 warnings just in case their products contain any listed chemicals. Proposition 65 has caused large numbers of consumer products to be reformulated to remove toxic ingredients, as documented in settlements of enforcement actions. The law's author has noted that many more product reformulations have taken place "invisibly," because of Proposition 65's incentive to reduce toxic exposures in advance of enforcement, and that product reformulations have benefitted consumers nationwide, not just in California. In the law's first 10 years of operation, emissions of its listed chemicals into the air were reduced much more in California (~85%) than in the rest of the U.S.(~50%), as tracked by the U.S. Toxics Release Inventory. California's air emissions during the same period of other toxic chemicals, also tracked by TRI but not on the Proposition 65 list, declined by only the national average, strongly indicating that Proposition 65 was the cause of the difference. Proposition 65 has also caused government and industry to cooperate on scientific issues of chemical risk, resulting in risk-based standards for 282 toxic chemicals in the law's first few years of operation, an accomplishment described by a Governor's Task Force as "100 years of progress [by federal standards] in the areas of hazard identification, risk assessment, and exposure assessment." The existence of clear numerical standards has significantly assisted efforts to comply with the law, and to enforce it in situations of non-compliance. Notably, nearly all of the reductions in toxic exposures caused by Proposition 65 have occurred in areas also subject to federal laws and regulations intended to control toxic chemicals, reductions which those federal controls had failed to achieve. The following warning language is standard on products sold in California if they contain chemicals on the Proposition 65 list and the amount of exposure caused by the product is not within defined safety limits. The wording can be changed as necessary, so long as it communicates that the chemical in question is known to the state to cause cancer, or birth defects or other reproductive harm. For exposures from other sources, such as car exhaust in a parking garage, a standard sign might read: "This area contains chemicals known to the State of California to cause cancer, or birth defects or other reproductive harm". Political controversy over the law, including industry attempts to have it preempted by federal law, have died down, although preemption bills continue to be introduced in the U.S. Congress, most recently H.R. 6022  (introduced June 6, 2018). However, enforcement actions remain controversial. Many Proposition 65 complaints are filed on behalf of straw man plaintiffs by private attorneys, some of whose businesses are built entirely on filing Proposition 65 lawsuits. The law has also been criticized for causing "over-warning" or "meaningless warnings,"  and this risk has been recognized by a California court.There is no penalty for posting an unnecessary warning sign, and to the extent that warnings are vague or overused, they may not communicate much information to the end user. The law's principal author notes that in practice, businesses have overwhelmingly chosen to reduce or eliminate their toxic exposures, rather than giving warnings about them, due to market forces. Examples of warning signs can be found at gas stations, hardware suppliers, grocery stores, drug stores, medical facilities,  parking garages, hotels, apartment complexes, retail stores, banks, and restaurants, warning about hazardous chemicals in items for sale, or present in the immediate environment. Utility companies mail a Prop 65 notice to all customers each year to warn them about exposures to natural gas, petroleum products and sandblasting. Abuse of enforcement lawsuits has also been a consistent theme of Proposition 65 opponents, who criticize the motives of citizen enforcers. Industry critics and corporate defense lawyers charge that Proposition 65 is "a clever and irritating mechanism used by litigious NGOs and others to publicly spank politically incorrect opponents ranging from the American gun industry to seafood retailers, etc." Critics also note that the majority of settlement money collected from businesses has been used to pay plaintiffs' attorney fees. Businesses paid over $14.58 million in attorney fees and costs in 2012, 71% of all settlement money paid. Because the law allows private citizens to sue and collect penalties from any business violating the law, lawyers and law firms have been criticized for using Proposition 65 to force monetary settlements out of California businesses. In the past the Attorney General's office has cited several instances of settlements where plaintiff attorneys received significant awards without providing for environmental benefit to the people of California, resulting in a requirement that the Attorney General's office must approve any pre-trial Proposition 65 settlement. In the 2013-14 session of the California State Assembly, a consensus bill, AB 227, introduced by Assemblyman Mike Gatto (D-Los Angeles), effectively offered to protect certain small companies in specified circumstances from the threat of citizen enforcement lawsuits, by providing them with a streamlined compliance procedure and limited penalties. The bill was passed unanimously, with support from Proposition 65 proponents and supporters, and was enacted on October 10, 2013. Following the success of AB 227, Gov. Jerry Brown announced on May 7, 2013 that his office plans to introduce a proposal to reform Proposition 65. Since Brown's initial announcement, his office has held meetings with Proposition 65 stakeholders, but has been tight-lipped about what was accomplished by the meetings. According to California Environmental Protection Agency Secretary Matthew Rodriquez, the Governor's office plans to release a white paper after concluding its stakeholder meetings. The white paper may form the basis of a legislative proposal by the Governor. Assembly Bill 1252, introduced by Assemblyman Brian Jones (R-Santee) during the 2015-2016 legislative session, proposed giving small businesses two weeks to fix violations before a lawsuit can be filed. The legislation died in committee. 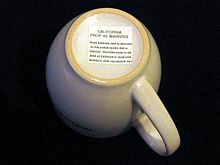 Over the years, Prop 65 has led to consent agreements for a variety of consumer products, such as bibs, bicycles, products containing brass, cookware, cosmetics, exercise mats, ceramic ware and glassware, clothing, fake leather upholstery, headphone cables, jewelry, lunchboxes, poker chips, luggage, and accessories. In early 2011, a number of new Prop 65 consent agreements were reported, covering vinyl inflatable structures, vinyl lounge chairs, inspection lights with clamp handles, brass door handles, cadmium in jewelry and a revised judgment for fashion accessories. In the latter part of 2011, further consent agreements were reported. These included reformulation of up to 1000 ppm DEHP for book covers and jackets. Further reformulations for lead content also concluded. For fashion jackets and belts with components that can be handled, touched or mouthed, two tests are necessary for compliance: less than 1.0 µg lead using method NIOSH 9100 and less than 100 ppm lead using EPA 3050B. More recently, since December 2011 and during the first half of 2012, a further number of consent settlements for Prop 65 have been concluded, enforcing reformulation of a range of additional products by specifying the limits of heavy metals and organic chemicals. In externally decorated glassware the cadmium and lead content are limited, with lower concentrations permitted for the lip or rim region. Lead content is also restricted in ceramic ware with exterior decorations, booster cables, and safety pins in varying concentrations. Various specific phthalates are also restricted in varying concentrations in notepads with vinyl coverings, purses, slippers, flip flops with rhinestones and similar plastic footwear, ear buds and headsets, and exercise/fitness mats. Restriction on volatile organic compounds (VOCs) is defined for smoothing solution products, and in this case a specific warning is mandatory in the material safety data sheets if the product releases detectable amounts of formaldehyde. Proposition 65 requires that the governor revise and republish at least once per year the list of chemicals known to the State to cause cancer or reproductive toxicity. ^ "California Office of Environmental Health Hazard Assessment". Oehha.ca.gov. Retrieved 2014-01-06. ^ "Proposition 65 in Plain Language". California Office of Environmental Health Hazard Assessment. February 1, 2013. ^ No warning is required as long as exposure is below the safety level for the specific chemical in question. However, the business responsible for causing exposure to a known cancer- or birth defect-causing chemical must be able to prove what that safety line is, if government has not already drawn it. ^ "AB 1756 of 2003" (PDF). Retrieved 2014-01-06. ^ "Proposition 65". California Cleaners Association. Retrieved 10 January 2014. ^ "PROPOSITION 65 LIST". Caslab.com. Retrieved 2014-01-06. ^ "Saccharin Removed from EPA's Hazardous Substance List". Caslab.com. 2010-12-15. Retrieved 2014-01-06. ^ Rechtschaffen, "How to Reduce Lead Exposures with One Simple Statute: the Experience of Proposition 65," 29 Environmental Law Reporter 10581 (October 1999); Rechtschaffen and Williams, The Continued Success of Proposition 65 in Reducin Toxic Exposures," 35 Environmental Law Reporter 10850 (December 2005). ^ Roe, "Little Labs Lost: An Invisible Success Story," 15 Green Bag 2nd 275 (Spring 2012). ^ Roe, id.,"Real-World Effects," at 281-282. ^ See Roe, supra, "Federal Contrast," at 283-285. ^ ComplianceSigns.com. "CA Proposition 65 Signs". InfoTag, Inc. Retrieved 2008-07-22. ^ a b Consumer Defense Group v. Rental Housing Industry Members , 40 Cal Rptr 3d 832 (Cal. Ct. App. 4th Dist. Div. 3 2006-03-24) ("As the Attorney General pointed out in oral argument, it does not serve the public interest to have the almost the entirety of the state of California "swamped in a sea [of] generic warning signs.""). ^ "Defending the Proposition 65 Bounty Hunter Case". Docstoc.com. 2007-12-29. Archived from the original on 2014-01-06. Retrieved 2014-01-06. ^ Dorothy Pomerantz (2001-10-15). "Toxic Avengers - Forbes.com". Forbes. Retrieved 2008-07-22. ^ Written Testimony of Jeffrey B. Margulies. Proposition 65's Effect on Small Businesses. In the United States House of Representatives, Committee on Small Business. October 28, 1999. "Implications for consumers. While the intent of Prop 65 was to "inform" consumers, the impact of warnings under the Act has been a proliferation of meaningless warnings. Virtually every business has some sort of Prop 65 warning sign posted, and innumerable products are labeled with the warning. From gas stations to hotels, from grocery stores to hardware stores, consumers are deluged with warnings that they are being exposed to unnamed carcinogens and reproductive toxins. They are not told either the degree of exposure or the likelihood that they may actually be impacted by it. Moreover, because the risks to business of not providing a warning, many provide a warning even though they don't actually know whether an exposure is occurring, or even if the exposure is trivial, further diluting the meaning of warnings to consumers. ^ Indira Nair and Detlof von Winterfeldt. "Equity and Environmental Justice Considerations in Electromagnetic Field (EMF) Policy" (PDF). Archived from the original (PDF) on 2011-07-26. Retrieved 2008-07-22. This is to be contrasted with Prop. 65 warning experience where the public received meaningless warnings filled with disclaimers, information that trivializes risk, and fails to put it into context. ^ Consumer Defense Group v. Rental Housing Industry Members , 40 Cal Rptr 3d 832 (Cal. Ct. App. 4th Dist. Div. 3 2006-03-24) ("Given the ease with which it was brought, and the absolute lack of any real public benefit from telling people that things like dried paint may be slowly emitting lead molecules or that parking lots are places where there might be auto exhaust, instead of $540,000, this legal work merited an award closer to a dollar ninety-eight."). ^ Pamela A. MacLean (2006-04-13). "Calif. Judge Blasts Firm in Toxic-Warnings Case". The National Law Journal. Retrieved 2008-07-22. ^ "Proposition 65 Safe Drinking Water and Toxic Enforcement Act of 1986". State of California. 1986. Retrieved 2008-07-22. ^ Roe supra at 283. ^ Watts Water Technologies, Inc. "California Proposition 65". ^ Kaweah Delta Health Care District. "Electronic Devices". Archived from the original on 2007-10-29. ^ Office of Environmental Health Hazard Assessment. "Proposition 65 Fact Sheet for Tenants". California Environmental Protection Agency. ^ Target.com. 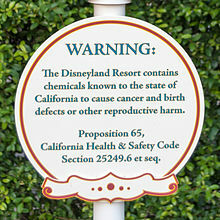 "California Proposition 65". ^ Lucas, Greg (2005-05-25). "Cancer label for foods is considered". San Francisco Chronicle. ^ "July 2008 bill inserts". Pacific Gas and Electric Company. Retrieved 2008-07-22. Pacific Gas and Electric Company uses chemicals in its operations that are "known to the State of California" to cause cancer, birth defects or other reproductive harm. For example, Pacific Gas and Electric Company uses natural gas and petroleum products in its operations. Pacific Gas and Electric Company also delivers natural gas to its customers. Petroleum products, natural gas, and their combustion by-products contain chemicals "known to the State of California" to cause cancer, birth defects or other reproductive harm. ^ "Proposition 65 – Public Warning" (PDF). Pacific Gas and Electric Company. April 2004. p. 4. Archived from the original (pdf) on 16 March 2007. Retrieved 10 January 2014. ^ "NGO Strategies for 2004 and Beyond". Fisheries.ifcnr.com. Retrieved 2014-01-06. 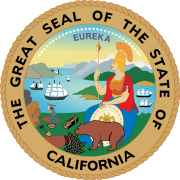 ^ "CALIFORNIA'S ATTORNEY GENERAL ACKNOWLEDGES PROP 65 ABUSE" (PDF). 2007-07-27. Retrieved 2015-05-13. ^ "Proposition 65 Enforcement Reporting". ca.gov. 12 January 2012. Retrieved 31 March 2018. ^ "Cal. Attorney General news alert, paragraph 10". Ag.ca.gov. 2005-08-26. Retrieved 2014-01-06. ^ "Bill Text - AB-227 Proposition 65: enforcement". Leginfo.legislature.ca.gov. 2002-01-01. Retrieved 2014-01-06. ^ "Gov. Brown Announces Proposition 65 Reform Proposal". Prop65news.com. Archived from the original on 2013-11-03. Retrieved 2014-01-06. ^ Admin, OEHHA (26 November 2014). "Proposition 65". ca.gov. Retrieved 31 March 2018. ^ "California Proposition 65 list of chemicals". ca.gov. Retrieved 31 March 2018.